On September 15—also know as Batman Day—DC will officially launch DC Universe. The service will provide fans with access to comics, TV shows, movies, and a daily news program called DC Daily recapping all things DC. One of the biggest selling points is an HD remastered version of Batman: The Animated Series. In addition to launching the service in just a few weeks, DC Universe will also be home to Titans, a new original show launching on October 12. Fans who attend New York Comic Con will get the opportunity to check out the show as early as October 3. Episodes for Titans will be released on a weekly basis. 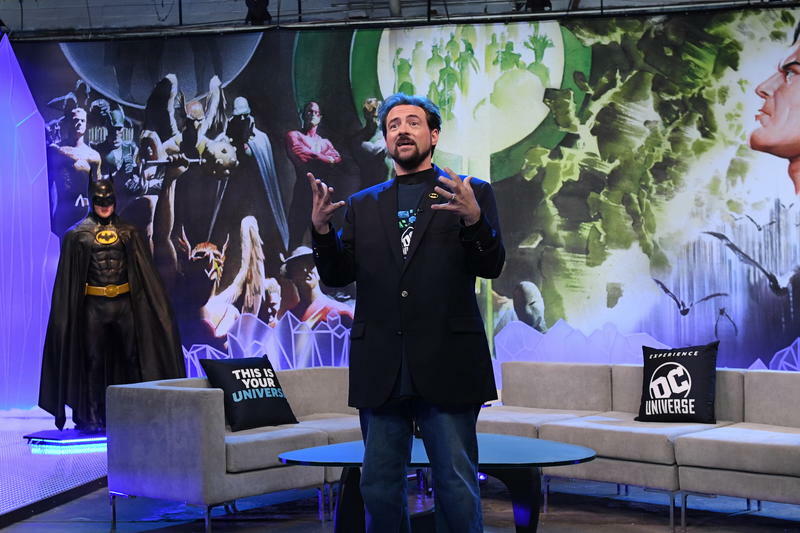 As part of the first airing of DC Daily, director Kevin Smith revealed the show will feature several recurring co-hosts, including Samm Levine, Brian Tong, and Markeia McCarty. When the service launches, subscribers will be able to watch content on two devices at once. Meanwhile, DC Universe will cycle through content each month, ensuring the service stays fresh. You can subscribe to DC Universe for $7.99 per month or $74.99 annually. If you subscribe before the service launches, you’ll be entered to win a WB studio tour in Hollywood and ride in the Batmobile.